Cost: Varies, depending on materials selected. Approximately $5-10 as shown. 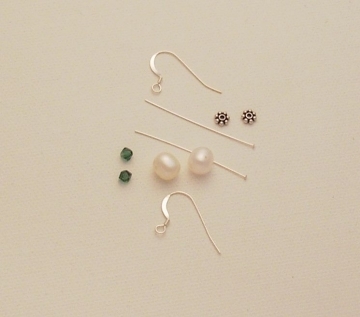 These are simple, classic and elegant earrings that go with nearly anything. 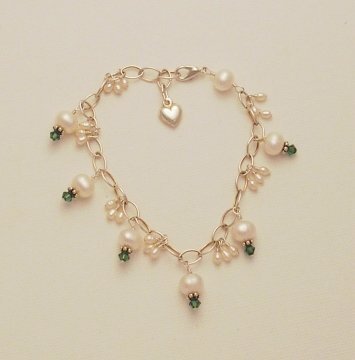 You can use any size, shape or color of pearl, as well as accent crystal bead on the bottom. Want to make these earrings, or a variation for yourself? Let's get started! 2 Pearls. Here I am using medium sized, white freshwater potato pearls. Two small accent beads or crystals of your choice for the bottom of the pendant link. Two Bali daisy spacer beads (or any spacer of your choice). Slide your beads onto head pins. 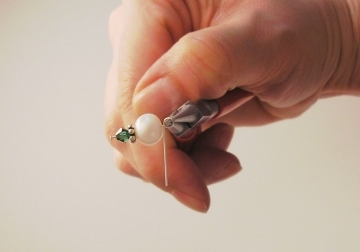 Start with a crystal, then the spacer, then the pearl on top. Make basic wire loops at the top of each earring. 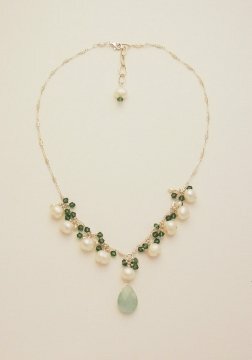 If you are not familiar with this technique, read How to Make a Basic Wire Wrap Loop for instructions. 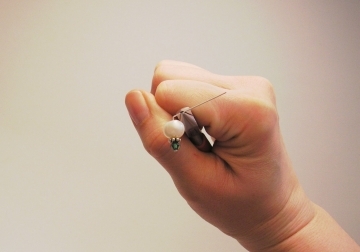 Now, just attach your earring to the earring component, using your flat nose pliers to open and close the loop. That's it! Try using different sizes of pearls. 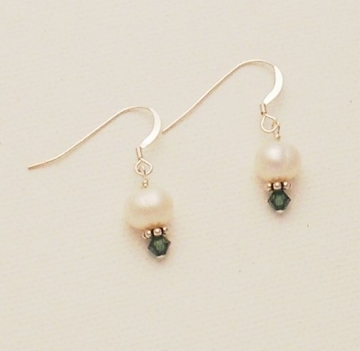 Smaller pearls lend a very delicate and feminine look, while larger pearls will stand out more. 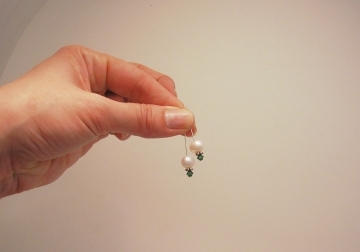 Use all white pearls and crystals for wedding earrings, or try some of the fun new brightly colored freshwater pearls. Make the matching Bracelet and Necklace!